Win your Stay-at-home-dude.com kitchen apron! 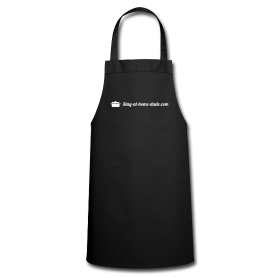 today I would like to give away one Stay-at-home-dude.com kitchen apron for free. The only thing you have to do is to post a comment or send me a message via Facebook or an email. Describe, why you think you are the dude or girl, who should win this kitchen apron. I will choose the winner at the end of November. It would be great if you share this post on Facebook!